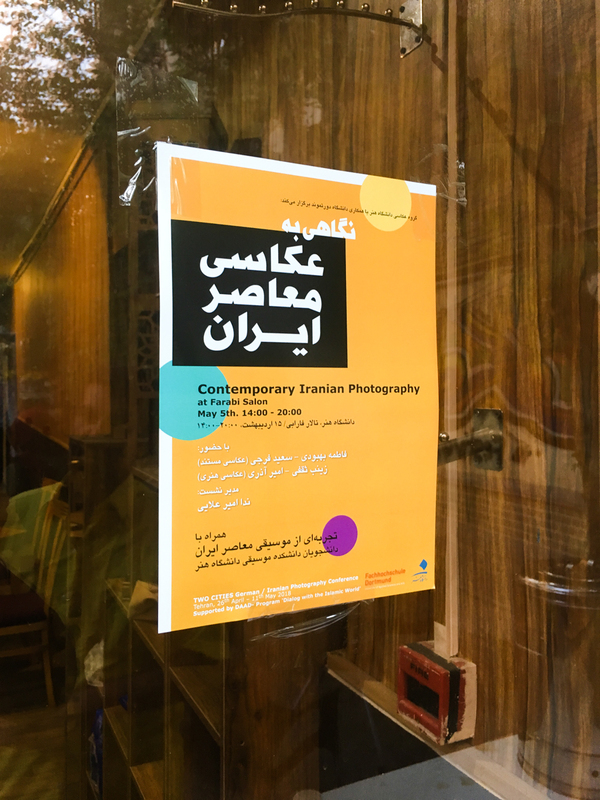 On Saturday afternoon the symposium Contemporary Iranian Photography took place at Farabi Salon on the campus of University of Art, Tehran, organized by the department of photography. 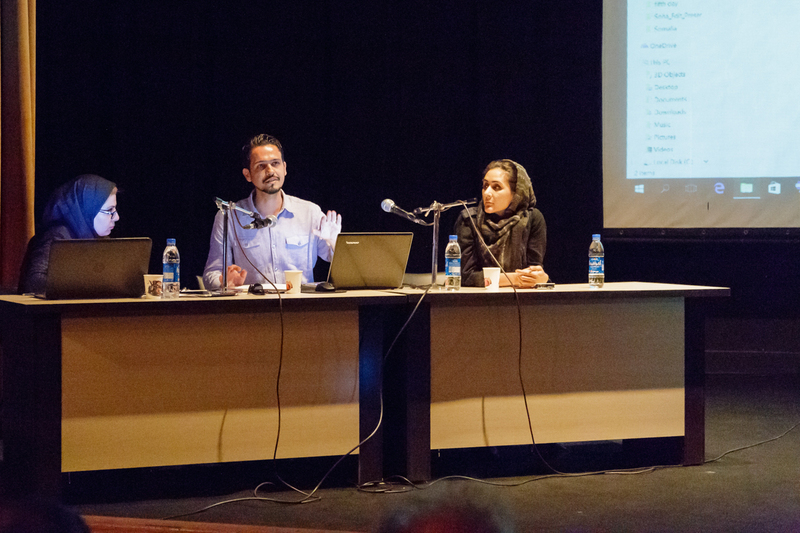 As speakers were invited four Iranian photographers. 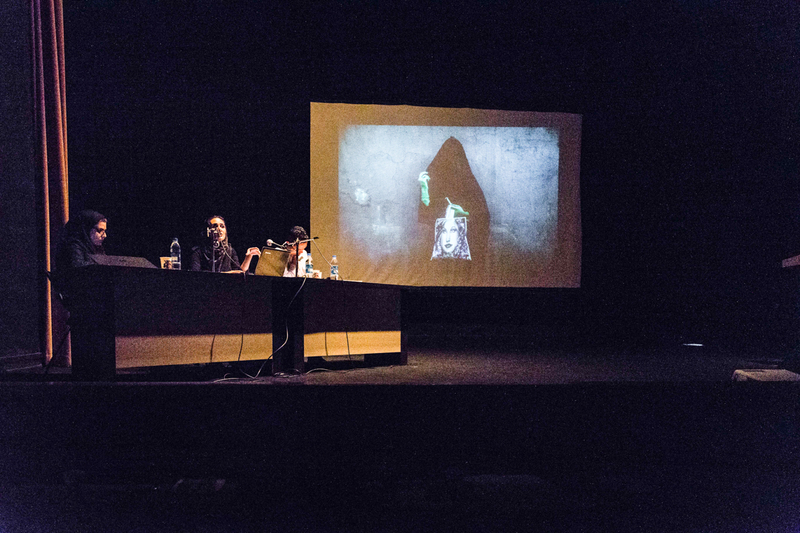 In the field of documentary photography it was Fatemeh Behboudi and Saeed Faraji, Zeinab Saghafi and Amir Azari were representing fine art and commercial photography. Dr. Neda Amiralaei was overtaking translation and moderation. 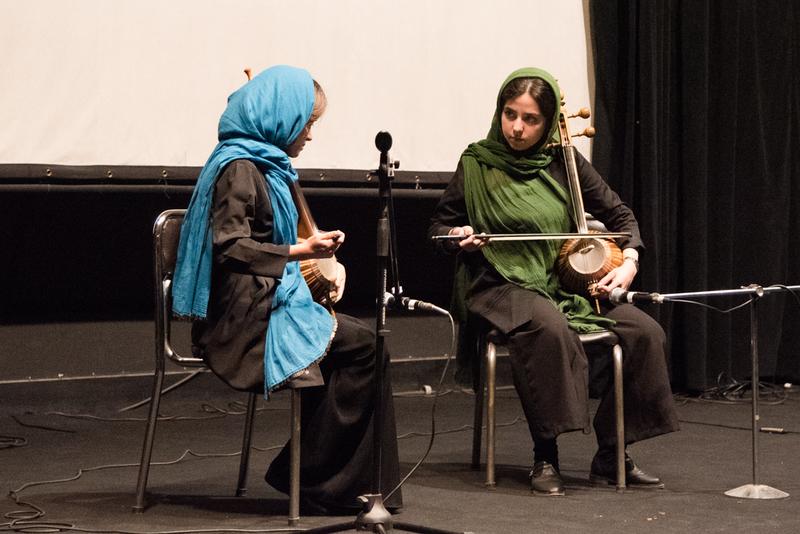 Fatemeh Behboudi has worked for numerous Iranian news agencies since graduating in 2007. In 2013 she was honored with the World Press Award. The themes she treats in her pictures are about religion, tradition and crisis. Saeed Faraji is a self-taught photojournalist who deals with photography since his youth. His focus is on relevant stories around the Islamic world. He has published books like The Exchange, The Familiar Land and A Journey to Mogadishu. The third speaker, Zeinab Saghafi, is an experimentally working photographer. She works with various materials and uses ancient photographic techniques such as collodium wet plate. After studying at the University of Art, Tehran she participated in numerous exhibitions. Amir Azari, the last speaker, who was honored with numerous photo awards, is working on commercial photography in the fields of still life, beauty and fashion. Beside is assignments he realized a number of free projects especially on portrait. He sees photography as a means of expressing himself mental revelations through the language of image, and therefore, he likes to stage a photo rather than “take” it. 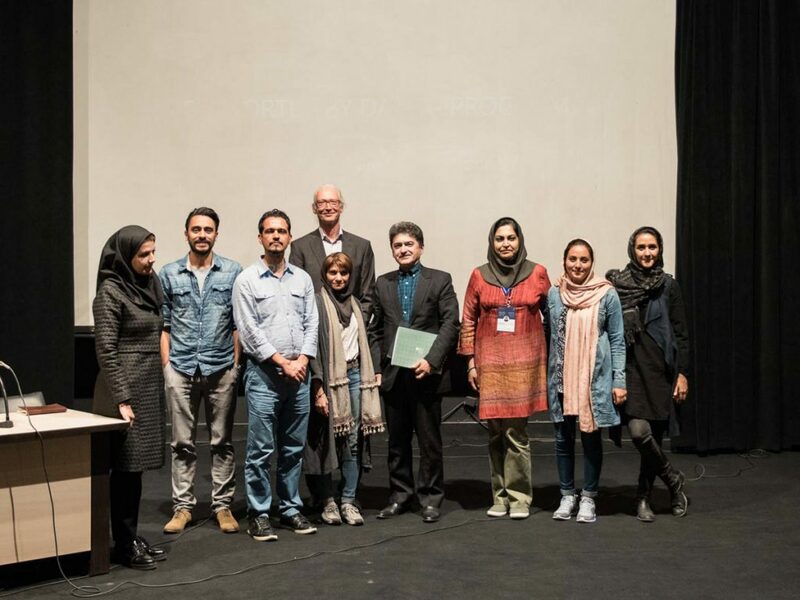 Photographers in Iran are facing many obstacles and have to make many compromises to realize their projects, so all speakers during the final discussion on stage encouraged the next generation especially the Iranian students to overcome boundaries and orientate themselves towards foreign photographers to reach a higher level of quality in their work. 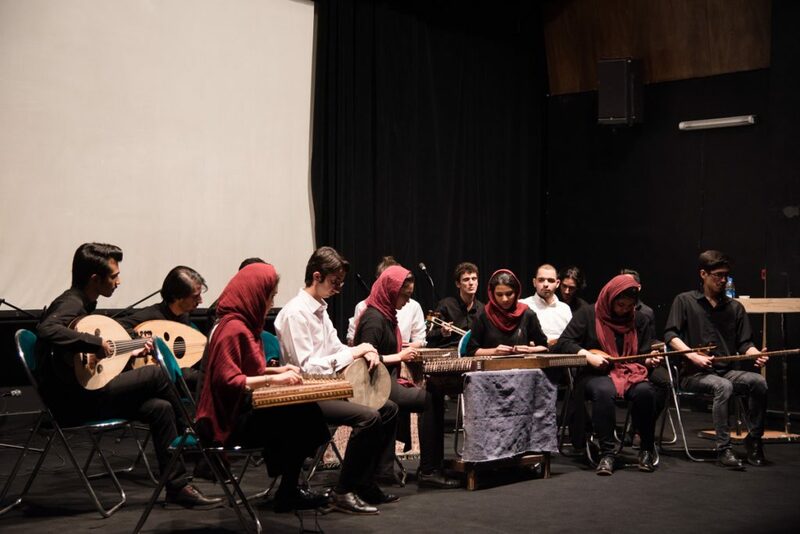 One of the exciting highlights of the symposium was an one hour concert on traditional Iranian music that was performed by students of the music faculty of the university who played various music traditional Iranian instruments.